…the single most important initiative for humanity’s environmental future … it allows us to address food security, the fuel crisis, and the climate problem, all in an immensely practical manner. Prof Tim Flannery, Australian of the Year 2007. What are the benefits of Biochar? The effects of bochar will vary with soil type and the qualities of the biochar used. Studies so far have shown that the greatest positive effects of biochar applications have been in highly degraded, acidic or nutrient-depleted soils. In Australia, both the CSIRO and NSW Department of Primary Industry are conducting field trials on biochar. How does Biochar help with climate change? Burning trees and agricultural waste contributes a large amount of carbon dioxide (CO2) to the atmosphere, and is a significant factor in global warming. 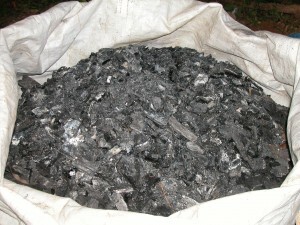 The production and use of Biochar breaks into the CO2 cycle, drawing carbon from the atmosphere to hold it in the soil. 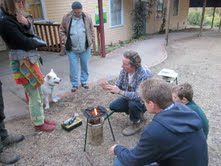 To counterbalance globalisation and our lack of control, influence and understanding of our local community, communities need to be empowered to act – say in relation to biochar with – for instance community biochar kilns. Learning Circles for instance seek to address this need by offering a way to understand and act that develops people’s capabilities in biochar in a sustainable manner. And, thereby help provides for ourselves and our children as well as assisting other communities do the same. Biochar fits alongside other tools and instruments for sustainability, such as the Carbon Farming Initiative, Carbon Tax and particularly NGO initiatives such as a Biochar Trust and Carbon Sequestration NGO’s as well as State based Biochar policy in areas such as taxation, investment, regional development, public infrastructure such as transport and communication, and training. So Biochar is only ‘part’ of ‘the answer’ not the ‘whole’ answer. For urban communities hard hit by ‘downsizing’, or, rural and developing communities impacted by ‘free trade’, or intentional communities and networks of eco-villages seeking to design-in, rather than retro-fit existing communities, sustainable community economy, we believe that Biochar can make big difference, in particular for the people involved and their children. Krull, E. (2010). Biochar for Agronomic Improvement and Greenhouse Gas Mitigation. CSIRO Sustainable Agriculture Flagship: 6pgs. 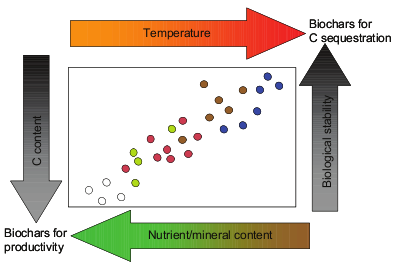 Found on http://www.csiro.au/resources/Biochar-agronomic-improvement . 1 Picture taken from http://Biocharproject.org/. Used with permission.